We all like to look and feel good! Did you know your dog’s skin is the largest organ in its body? So we should help look after it. The health of your dog’s coat can affect how great they look and feel. 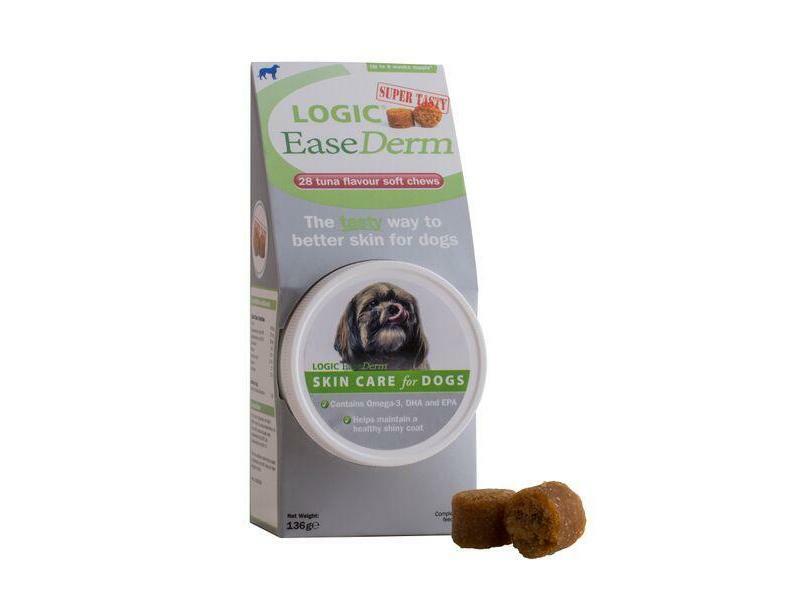 Dry, irritated skin can lead to a dull coat and an irritated pet - treat them to a glossy new look! 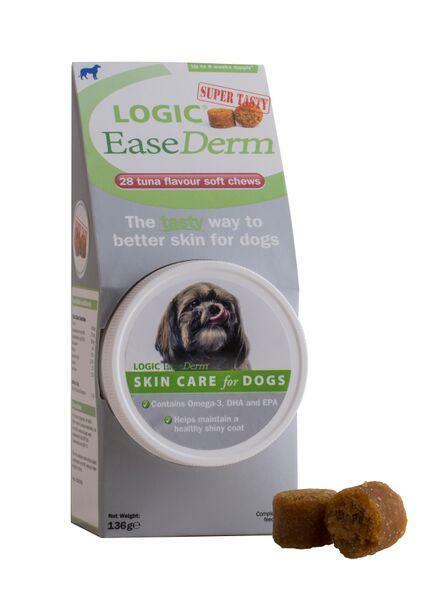 Logic EaseDerm is a tasty skin and coat supplement which has been developed with a high concentration of Omega 3 oils (EPA and DHA) to add moisture to dry, irritated skin and help maintain a healthy, shiny coat. Omega 3 (DHA and EPA): These essential fatty acids are necessary components of cell membranes. EPA and DHA help support a healthy, glossy coat. With its delicious tuna flavoured soft chews, EaseDerm is the tasty way to help maintain a healthy, shiny coat. There are currently no questions for Logic EaseDerm - be the first to ask one!